Last week the ayatollahs’ capacity to stow death and destruction beyond Iran’s borders was on full display, when a barrage of Shahab missiles was test fired. Also last week, the French energy company, Total, pulled out of a huge investment in Iran's gas sector, citing "political risks." Meanwhile, back in Iran, the gallows were busy. On July 10, Khalij Fars news agency reported four men were publicly hanged in the southern city of Borazjan. On Sunday, two men were hanged in the central city of Isfahan. A day before, Iran’s Supreme Court upheld the death sentence for three Kurdish political activists. The common thread here is that Tehran faces mounting political and social dissent, aggravated by factional infighting, at home, and growing international isolation abroad. Belligerence looks to Tehran like a way out of this impasse. Dismissing the missile test as a mere bluster is very dangerous. Much has been made of the unimpressive technology and Tehran's failed attempt at doctoring images of the launch. That analysis misses the point that Tehran’s missile capability still poses a grave threat to the region, because the intent behind it is belligerent. Moreover, Iran's missile program has made advances in recent years, particularly since the ascendance of the Islamic Revolutionary Guards Corps (IRGC) to the pantheon of power and Mahmoud Ahmadinejad's presidency in 2005. After the main Iranian opposition, the Mujahedin-e Khalq (MEK) exposed Tehran's nuclear site at Lavizan in 2003, the regime transferred much of its nuclear work to secret tunnels. As I reported in my book, The Iran Threat: President Ahmadinejad and Coming Nuclear Crisis, the secrecy of Iran’s missile production is now based upon so much of the program being underground. North Korea has been Iran's primary collaborator in building and expanding this underground infrastructure, providing experts and blueprints. In September 2005, MEK provided more details about Iran’s missile operations in the secret tunnels associated with the Parchin Military Complex, a site 19 miles southeast of Tehran. A few weeks later the group was able to provide new information about the massive size and operations of the regime's tunnel complexes. Accessible only by military roads, the largest tunnel complex is beneath the mountains of the Khojir region, just east of Tehran. This is where Movahed Industries, housed in the largest tunnel in the Khojir complex, builds the main body, does the final assembly, and warehouses the final product. This tunnel is about 1,000 meters long and 12 meters wide. Inside are six forklike, 500 meter extensions which extends from deep inside the central area of Khojir to the Bar Jamali Mountain. The eyewitness accounts of the Iranian opposition sources inside Iran describe this tunnel as an underground city, complete with its own firefighting system, steam boilers for an independent heating system, air conditioning, water pumps, and a water-resistant electrical system. Security measures include codenames for the industries that work on various aspects of the program. For example, Nori Industries, which builds the warhead and is the most secretive part of the program, is known as "8500." The Khojir complex also contains dozens of other well-equipped tunnels that vary in length from 150 to 300 meters and contain more industries and warehouses in which missiles are kept. Among these is Bakeri Industries Group, whose five facilities in the Khojir complex produce surface-to-surface missiles, including the Iran-designed Fateh A-110, Nazeat, and Zolqadr. Fateh was among the missiles the Iranian regime fired last week. Indeed, in an interview with the French daily Le Monde on February 25, 2005, Iran’s then nuclear negotiator Hassan Rowhani, acknowledged that reports about Iran building tunnels to hide its nuclear technology "could be true." So with much of the ayatollahs’ missile program tucked away in massive underground tunnels, the level of its missile technology cannot really be judged from the video clips of last week’s launch. But one thing the world can be certain of is the nefarious intent of a regime whose IRGC commanders boast they have their fingers on thousands of missile triggers, aimed at 32 U.S. targets in the Middle East, and will plunge the region into "raging fire". Bluster? Maybe, but can the free world afford to take that chance? The mullahs are building nuclear bombs and the missiles to carry them. Nuclear capability will make them a powerhouse in the region, and will bolster the morale of the hated IRGC, the key means to their repressive regime's staying power. Although the ayatollahs’ missile-rattling can hardly disguise their growing political weakness, if they are not stopped, we are looking at a nuclear-armed state-sponsor of terrorism with an aggressive agenda that extends beyond neighboring Iraq. Washington needs to recognize this fact, with finality. A day before the ayatollahs’ launch, the US Treasury Department slapped new sanctions on Tehran and pursuant to Executive Order 13382, designated four individuals and four entities for their roles in Iran’s missile and nuclear program. As Stuart Levey, under Secretary of Treasury for Terrorism and Financial Intelligence, correctly pointed out, "Iran's nuclear and missile firms hide behind an array of agents that transact business on their behalf." A growing number of members of Congress from both sides of the aisle believe that sanctions should be coupled with political pressure aimed at heightening the internal discontent, and weakening the regime. They maintain that Washington should remove all restrictions from the Iranian opposition groups, allowing them to play their real and indigenous role as a potent political force and dedicated to democratic change in Iran. The bombshell revelations by Iran's parliament-in-exile, the National Council of Resistance (NCRI), about a working nuclear warhead development facility and a new command and control center for Iran's nuclear bomb-making only two days before the release of the report by the International Atomic Energy Agency (IAEA) proved to be a major blow to the ruling Ayatollahs in Tehran. In a news conference in Brussels on February 20, 2008, Mohammad Mohaddessin, the Chairman of the NCRI's Foreign Affairs Committee, announced that in April 2007, the Iranian regime's nuclear project entered a new phase. For the first time, a command and control center, known as Mojdeh site, was established to head up the drive to complete a nuclear bomb. A development facility called the "Field for Expansion of Deployment of Advanced Technologies" was set up in the Lavizan 2 site (see satellite imagery). 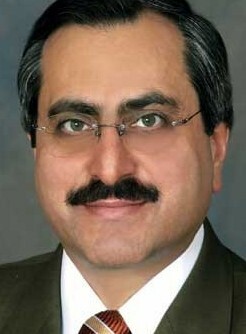 Mojdeh site is managed by a scientist named Mohsen Fakhrizadeh Mahabadi. A nuclear physicist attached to the Islamic Revolutionary Guards Corp (IRGC), Mahabadi reports directly to the defense minister, Mostafa Mohammad Najar. Many of the activities at the site are disguised as part of the IRGC's Malek Ashtar University, which acts more as the support center doing research and development of weapons for the Mojdeh site than a university. Working on and coordinating activities on a neutron initiator; producing Polunium-210 and Beryllium for the trigger for an atomic bomb; casting and machining of uranium metals; research on the fissile material needed for the production of a bomb; laser enrichment of uranium; and research on high explosives, radiation detection, and protection against radioactive materials are among the activities carried out at the Mojdeh site. The secret facility to make nuclear warheads is located at Khojir, a Defense Ministry missile site southeast of Tehran. This is a vast, 120-square kilometer area southeast of Tehran. It is riddled with various facilities and tunnels dedicated to nuclear and missile projects (see satellite imagery). Khojir is heavily secured military area. Construction of secret military sites in this location began in 1989. This location works primarily on the manufacturing of missiles such as Shahab 3. However, new, detailed information reveals that Tehran is building nuclear warheads at this site. The project was codenamed 8500 and nicknamed the Alireza Nori Industry (see satellite imagery). The warheads are being designed for installation on Shahab 3 missiles, the most advanced version of which has a range of 2,000 kilometers. In its February 20 news conference, the NCRI announced that the full details of the latest information obtained by the Resistance network inside Iran had been provided to the IAEA. Then on Monday, Mohammad Khazee, the Ayatollahs' ambassador to the United Nations, dedicated almost his entire interview with journalists to complaints about the decisive role the main Iranian opposition has played in exposing the Ayatollahs' nuclear sites. Simon Smith, the chief British delegate to the International Atomic Energy Agency, said earlier this week that based on information presented by the IAEA to the IAEA's 35 board member nations, Iran may have continued work on nuclear weapons past 2003, the year U.S. intelligence reports indicated such activities had stopped. Earlier, Director of National Intelligence Michael McConnell said there was no doubt that Iran had the scientific know-how, the technical capacity, and the industrial capability to develop nuclear weapons at some future point. The NCRI's crucial revelations last week establish that the Ayatollahs' regime has indeed expedited its nuclear weapons activities, and that the IRGC has assumed command of a much larger segment of the nuclear drive. The United Nations Security Council should waste no time in adopting a decisive resolution to address Tehran's persistent violation of prior UN Security Resolutions. At the same time, a growing number of members of Congress from both sides of the isle believe that sanctions should be coupled with political pressure. The best option? Reach out to the Iranian opposition and remove all restrictions against them as they heighten their efforts to implement fundamental change in Iran. The fourth round of U.S.-Iran talks over Iraq’s security, originally scheduled to take place in December of last year in Baghdad, was again postponed by Tehran for “technical” reasons. Let’s not forget that the U.S. embassy in Baghdad has on numerous times expressed the complete readiness of the American side for these talks. Are ayatollahs in Tehran playing hard-to-get with Washington? Speculations on reasons behind Tehran’s reluctance abound. Some Iraqi officials have blamed the release of the National Intelligence Estimate on Iran’s nuclear program for the postponements saying the report has emboldened Tehran by taking the pressure off ayatollahs’ backs. Still, there are others who suggest that Tehran will wait until after Ahmadinejad completes his visit to Iraq scheduled for March 2, to resume the talks. Some argue that intense political maneuvering in Iran, weeks before the key parliamentary elections is the main culprit. In recent weeks, mullah’s Supreme Leader Ali Khamene'i, has been making rounds around the country making negotiations with the “Great Satan,” a central election issue and a litmus test of loyalty to the “principals of revolution.” It would be only logical to conclude that Khamene'i, siding with the Islamic Revolutionary Guards Corps, could ill afford to give the go-ahead for talks with Washington when he has made it a huge political taboo at home. Regardless of reasons behind Tehran’s cancellation of the talks, one basic fact should be fully understood when it comes to the issue of negotiations with Tehran: Ayatollahs have no intention of improving security in Iraq and ending their nefarious meddling there. Indeed, after three rounds of Washington-Tehran talks, not only the regime has not scaled down any aspect of its meddling, it has intensified its political, intelligence, terrorist, and propaganda campaign in Iraq. Given Tehran’s massive investment in Iraq to date, the probability that it could be negotiated to give up its network in Iraq and decommission its Qods Force is next to zero. The destruction that Tehran has been able to level at Iraq reveals the depth of ayatollahs’ commitment in destabilizing their neighbor to the west. According to my sources, Tehran is spending at least $70 million per month arming, training, and funding Iraqi militias fomenting sectarian violence and attacking coalition troops. The fact is that the two sides come to the table with a diametrically opposing set of goals. Tehran seeks to escalate violence and further subvert the country while Washington intends to reduce tension and stabilize the nation. One seeks to establish a theocratic state modeled after its own, and the other a secular Iraq. Tehran’s multi-pronged campaign in Iraq has two primary objectives; both having to do with its survival. Ayatollahs’ first objective is the expulsion out of Iraq of Iran's main opposition group, the Mujahedin-e Khalq, or MEK, whose members reside in Ashraf City, 60 miles north of Baghdad in the Diyala Province. Tehran correctly believes that the 3,800 members of the anti-fundamentalist Muslim MEK have played a significant role in unifying the democratic and secular voices of Iraqi Shiites and Sunnis against its influence in Iraq. The clerical regime therefore views the MEK as the biggest obstacle to fulfilling its ambition of establishing a sister Islamic republic in Iraq. The MEK has been instrumental in exposing the Qods Force’s clandestine terror network in Iraq. The group's members in Ashraf City, Iraq are now protected by the United States military as "protected persons" under the Fourth Geneva Convention. Administration officials and U.S. military commanders in Iraq have acknowledged that the MEK has been the most helpful on neutralizing Tehran's covert mission in Iraq. Many moderate Iraqi politicians, including some key members of the Iraqi Parliament, believe that the MEK in Ashraf City is an unrivaled catalyst for conflict resolution and stability in Iraq. Equally important, Iran's other objective is to force the U.S. military out of Iraq and the creation of a huge political and security vacuum there which is essential for the success of Iran's ultimate goal of establishing a clients state in Iraq. And last week, David Satterfield, the U.S. State Department's Iraq coordinator, told reporters that "We see an Iran intent on continuing to promote violence within Iraq, which is directly contradictory to Iran's public pledge of support for a stable, peaceful, sovereign Iraq.” He added that "We very much believe that Iran wishes to see the forced departure of foreign forces, particularly U.S. forces, from Iraq in the most humiliating and devastating manner possible." Against this backdrop, it would be highly naïve, if not unforgivably reckless, to entertain the notion that ayatollahs would ever show good will and genuinely cooperate for Iraq’s security. Negotiations, while essential for resolving conflicts diplomatically, in Tehran’s case have a proven record of failure. They have emboldened the ayatollahs and afforded them time and diplomatic cover to advance their sinister agenda. Every inch that the U.S. concedes is interpreted in Tehran as a sign of weakness which in turn invites more terrorism and sectarian violence. Iraq will be secure and stable when Iran's influence is cut off. To accomplish that, the United States should be ready to take drastic measures. It can start by stepping up the arrest of the regime's agents in Iraq; cutting off smuggling routes for weapons, explosives and agents; disarming the Shiite militias; and purging the Iraqi government of Tehran's proxies — essentially dismantling Iran's network in Iraq. This must be coupled with empowering the moderate voices among the Sunnis, Shiites, and Kurds. Last week I made public new information about another escalation in the terrorist meddling of the ayatollahs' regime in Iraq. I obtained the information from my sources inside the Iranian regime. These intelligence sources are associated with a network of Iran's main opposition, the People's Mojahedin Organization of Iran (also known as the MEK), based in Ashraf City, Iraq. The ayatollahs' surge is primarily being carried out through the notorious Qods Force and its Iraqi terror networks. On the one hand, this is alarming news: Tehran's new terror escalation is meant to strategically extend and solidify its gains in Iraq. On the other, however, this is good news: clearly, the ayatollahs are worried about the spread and consolidation of an Iraqi counter force. What is this dual-pronged escalation about and what does it mean? The facts on the ground indicate that Tehran has been consistently losing ground, politically and militarily, over the past few months to the awakening forces of independence in Iraq. These forces, in tandem with a more robust campaign by the U.S.-led Multi-National Forces, have had significant success in pushing back the Al Qaeda and Tehran-backed terrorists. This is particularly true in the central provinces bordering Iran, such as Diyala Province. According to the new intelligence, Tehran is attempting to counter with a comprehensive plan to expand its terrorist network in Iraq. To this end, the Qods Force has created a new command headquarters in the western Iranian city of Kermanshah, from where it directs three operational axes — northern, central and southern. Each operational sector has been assigned its own border-crossings and arms smuggling networks. Each is in charge of managing those terror networks in Iraq located within its sector. The HQ's commander is a high-ranking veteran Qods Force officer named Haj Amiri. Many of the top commanders in this new HQ are Iraqi nationals who worked with the Badr Corps before serving in the Qods Force, such as Ali Al-Hosseini and Ali Haydari. The Northern Axis, responsible for Baghdad, Diyala and Kurdistan provinces, is perhaps the most vital to the ayatollahs' new terror build-up. So much so that Amiri, the HQ's commander is also in charge of this axis. The Northern Axis is connected in Baghdad to Abu-Jafar Al-Boka, previously with the Badr Corps and its naval unit. He currently leads several terrorist networks in Baghdad. The Central Axis is commanded by a Qods Force officer named Andami. The border cities of Mehran and Ali-Gharbi are the main access points for weapons smuggling in this axis. Qods Force Commander Jafar Ansari commands the Southern Axis. He funnels weapons into Iraq via the Hoor-Abdullah and Faw passageways. An Iraqi national named Khalil Arab is on the Qods Force's payroll as a network commander affiliated with the Southern Axis. His forces were very active against American and British troops in Iraq's southern provinces. To effectively train would-be Iraqi terrorists, the new command HQ in Kermanshah utilizes several fully equipped and staffed training bases. Two bases in Kermanshah's Kenesht valley, the Jalil-Abad Hizbollah Base in Varamin near Tehran, and the Isfahan Training Base in central Iran are presently the primary sites. Less than a day after I revealed this new intelligence about the Qods Force new terror campaign, the Northern sector command struck at a pumping plant in Diyala Province. Using nearly 600-lbs of T.N.T., terrorists completely destroyed the plant and cut off the water supply. The plant supplied water to Ashraf City — the residence of the Iranian Mojahedin's members, recognized as "Protected Persons" under the Fourth Geneva Convention — and nearly 20,000 Iraqis living in neighboring areas. This heinous act came just a few days after the assassination of an Iraqi tribal leader whose forces were in charge of providing security for the water plant. According to experts in international law, the Qods Force attack constitutes a war crime against "Protected Persons" and civilians. Rather than shaking the resolve of local Iraqis, this despicable act was harshly denounced. These nationalist Iraqis work with U.S.-led coalition forces as protectors of Ashraf City. As independent Iraqis, they are strongly against the ayatollahs and their Qods Force. Ashraf City's support crosses religious and ethnic lines. The anti-fundamentalist ideas emanating from Ashraf and the MEK's practical contribution bringing about a partnership among Iraqis of all backgrounds have been key elements in the creation of a united front among Iraqis. This front has both in words and deeds targeted Tehran as the main strategic threat to Iraq. 3 — Empowerment of the more moderate voices of Iraq. The Iranian opposition members based in Ashraf City are a strategic partner in the fight against Islamic fundamentalism and a counter weight to the Iranian regime's influence in Iraq; clearly, they would be a catalyst to accomplishing just that. As I detailed in my book, The Iran Threat: President Ahmadinejad and the Coming Nuclear Crisis, (upda ted edition to be released in paperback in February 2008), in one of the biggest heists of the current century, Tehran has smuggled billions of dollars’ worth of Iraqi oil to Iran through Iraq's southern borders. The stolen oil has provided for the huge expenditures of Iran's meddling in Iraq. Many of the smuggling operations involve the exchange of Iraqi petroleum for Iranian weapons or narcotics. The security forces cordoned off the Tehran University campus, which is in the heart of crowded downtown Tehran, from adjacent streets by two-story public transportation buses. This ploy was put in place after the 1999 student-led uprising attracted thousands of ordinary citizens who rushed to the university campus in support of students. Hundreds of the Sates Security Forces in full anti-riot gear and supported by multitude of other security and intelligence agencies, had circled the campus. In the preceding days, the MOIS agents carried out several sweeping operations inside the campus to thwart any pre-rally meetings or gatherings. The day before the rally, in an implicit admission to the organized nature of these anti-government protests, MOIS agents arrested more than half a dozen students, saying that they were planning to organize rallies upon the order of “anti-regime” organizations. None of these measures proved effective, however. In the mid day, with hundreds of students protesting inside the campus and shouting “death to dictator” and “no fascism,” hundreds of students from other universities were blocked by the security agents at the university’s gates. That did not last long. Students crushed the huge gate and rammed through it to join those inside. Before long, the chants of “Down with the fascist regime,” “Death to this deceitful government,” and “Live free or die” were heard all over the campus and beyond. The vociferous protest also drew a sharp line between these students and some state-sponsored student organizations which, under of the banner of peace, work to derail the movement for democratic change when they shouted “yes to peace, no to fascism,” and “students would rather die than live under suppression.” In clear and uncompromising statements, the students showed that genuine peace could only be brought about with rejection of the religious dictatorship. While the Student Day demonstrations may not have been comparable with the size of the 1999 six-day student protests, given the heightened systematic suppression of the democracy movement during the presidency of Ahmadinejad and the ascendancy of the notorious Islamic Revolutionary Guards to all centers of power, these rallies speak volumes about the strength and perseverance of the anti-regime student movement. Last December, when students of Tehran’s Polytechnic University — a bastion of pro-democracy student movement — set Ahmadinejad’s photos on fire right in front of him, a new surge of energy was injected into the student movement. Since then, university campuses have been the scene of protests calling for democratic change, targeting the entire theocratic regime. In Iran, where the universities have always been a true barometer of population sentiments, these rallies clearly expose the utter isolation of the regime. In a major anti-government demonstration in May, students retorted back at Ahmadinejad's earlier statement that Iran's nuclear program was like a train "without brakes and a rear gear." The students shouted that in fact it was Iran's movement for democratic change that "is like a train without brakes or reverse gear." Indeed, the series of anti-government demonstrations in the past year reveal a regime gripped in the existential fear of its own people and the democracy movement. Still, the democracy movement comprised of anti-regime student, women, and labor groups, suffers from a strategic handicap. In the summer of 2003, in the midst of a huge anti-government student-led uprising, a European diplomat told Reuters that ''The pent-up anger is still there, beneath the surface. But for it to seriously take off you need a catalyst … you need organization and leadership.'' And this is where the democracy movement received a major boost last week when the United Kingdom’s Proscribed Organizations Appeal Commission (POAC) reaffirmed its November 30 ruling that the Mujahedin-e Khalq (MEK), Iran’s largest and best organized opposition group, should be removed from the UK’s blacklist. The POAC swiftly rejected the British government’s appeal for the reversal of the ruling. It seems that even after last year’s humiliation in the hands of Tehran regime which took British sailors hostage, Prime Minister Brown’s government is still trying to be at ayatollahs’ good graces. Statements coming from Tehran about the role of MEK's network inside Iran in fomenting the protest rallies by students, women and laborers, and ayatollahs’ constant demands from its foreign interlocutors to expel, disband, or dismantle the MEK, are a testament to the key role this organization has, and continues to play in Iran’s democracy movement and its contribution to a unified, democratic, and stable Iraq. A large number of members of the British House of Commons and the House of Lords, as well as a large bipartisan number of members of the United States Congress are loudly critical of London and Washington for insisting on the appeasement-inspired blacklisting of the MEK, to the benefit of the tyrant ayatollahs and the detriment of Iran’s democracy movement. On November 15, the International Atomic Energy Agency (IAEA) issued its report about the latest status of Iran's nuclear program. Since the publication of the report, both Tehran and its critics are claiming victory. Tehran is using the report to claim that its nuclear program is a peaceful one, and critics have relied on the report saying that it is further indication that Tehran has not complied with the United Nations Security Council resolutions, has continued its uranium enrichment and deserves further punishment. What is missing from the report, among other issues, is the role of the Islamic Revolutionary Guards Corp which has been running a secret nuclear weapons program in parallel to the nuclear energy program run by the Atomic Energy Organization of Iran (AEOI). According to paragraph 10 of the IAEA report, "In response to the Agency’s enquiry as to whether there was any military involvement in the program; Iran has stated that no institution other than the AEOI was involved in the decision making process or in the implementation of the centrifuge enrichment program." This is an absolute lie. The centrifuge program has been and continues to be under the control of the IRGC since the beginning. As I elaborated in my previous column, "Islamic Revolutionary Guards Corps: Chief Proliferators of Weapons of Mass Destruction," in 1983, the IRGC initiated Tehran's nuclear research and development program at the height of the Iran-Iraq war. In 1987, the notorious Pakistani nuclear scientist AQ Khan, in his secret trip to Iran, met with senior commanders of the IRGC to assist Tehran in the development of its nuclear bomb. IRGC Brig. Gen. Ali Hossein-Tash oversaw the nuclear weapons program of Iran. He was until 2005, the deputy Defense Minister and is now a member of the Supreme National Security Council. Former chief nuclear negotiator, Hassan Rowhani, in his little-publicized farewell letter thanked Brig. Gen. Hossein-Tash, among others, for his role in the nuclear program. The nuclear program is now overseen by IRGC Brig. Gen. Ahmad Vahidi. Vahidi, the former commander of the notorious Qods Force designated by the U.S. government as a terrorist entity, is also the deputy Defense Minister, and one of five terrorists whose warrants of arrest were confirmed by the Interpol for the 1993 bombing of the Jewish Community Center in Argentina where nearly 90 people were killed. In his report, the IAEA Director General closes his eyes on the military involvement in Tehran's nuclear program and takes Tehran's claims at face value. Any military involvement is a red flag by any standard; A clear indication that the program is for military purposes and not for civilian use. In paragraph 12 of the report, Tehran's claims are stated with no refutation, that the centrifuge program between 1987 and 1993 was only run by the AEOI. "Iran has also stated that during this period, the R&D work was conducted only by the AEOI, without the support of universities or the Physics Research Centre (PHRC)." Sheer lie! To the contrary, various universities were used by the IRGC since 1985. They included Sharif University of Technology, Amir Kabir, Tehran, Beheshti, Shiraz, and Science and Industry universities which were all used by the IRGC. As I revealed in The Iran Threat: President Ahmadinejad and the Coming Nuclear Crisis (Palgrave: 2007), in mid-1980s, Maj. Gen. Mohsen Rezai, at the time in command of the IRGC, had approached a number of expert scholars, asking them to help the regime get the bomb, which it needed, as it does now, to dominate the region. In addition, the IRGC-run Imam Hussein and Malek Ashtar military universities are heavily involved in the nuclear weapons program, as Iran's main opposition, the National Council of Resistance of Iran (NCRI) divulged. NCRI's past revelations have been proven accurate. Two senior nuclear scientists and IRGC officers, Mohsen Fakhrizadeh and Fereydoon Abbassi oversee the nuclear R&D program at Imam Hussein University, now one of the most advanced in the country..
By 2003, the IRGC had up to 400 nuclear experts and scientists who were primarily transferred from the Atomic Energy Organization of Iran to the Defense Ministry. Paragraph 17 of the IAEA report noted, "Iran stated that, during the period 1993 to 1999, it was still experiencing difficulty in producing components for P-1 centrifuges and manufacturing reliable P-1 centrifuges. It said that only limited human resources were devoted to the project until 1997 and that, around 1998, additional theoretical and experimental studies were initiated at the Amir Khabir [Kabir] University." This, too, is a myth. Various university and research resources have been allocated to the centrifuge program during the same period. Tehran intends to minimize the scope of its program and the depth of its deception to prevent the international community from further probe. Even though the IAEA concedes in paragraph 18 that the military has been involved in the centrifuge program, it refrains from pursuing other leads, refuses to question why the military is involved in a supposedly nuclear energy program, and has failed to inspect the military sites revealed by the main Iranian opposition since 2003. "Iran has provided names, locations and activities of the workshops involved in the domestic production of centrifuge components, most of which are owned by military industrial organizations," the report says. According to the NCRI, Jafar Mohammadi, a key expert in the manufacture of the centrifuges at the Defense Industry Organization (DIO), was later transferred to the AEOI to oversee the centrifuge program in Natanz uranium enrichment facility. 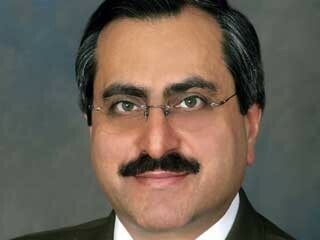 He headed a front company, Farayand Technic, exposed by the NCRI in 2002. Ali Karimi, another DIO expert was also transferred to AEOI, now involved with the centrifuge program. This clearly shows that Tehran has been using the AEOI to facilitate the nuclear weapons program. In paragraph 25, the IAEA report noted, "The Agency received a copy of the 15-page document describing the procedures for the reduction of UF6 to uranium metal and casting it into hemispheres. Iran has reiterated that this document was received along with the P-1 centrifuge documentation in 1987." This corroborates with other information provided by the NCRI indicating that the IRGC waged an extensive effort in 1987 to get the nuclear bomb, as it was clearly losing momentum in the Iran-Iraq war (1980-1988). This was also confirmed in a letter in 1988 by Ayatollah Ruhollah Khomeini, which contained a laundry list of what the military commanders needed for carrying on the war against Iraq. It quoted the IRGC supreme commander as saying that within five years Iran would need laser-guided and nuclear weapons to win the war. If the IAEA continues to close its eyes on the evidence regarding the Iranian regime's military involvement with the nuclear program, it would be buying Tehran the precious time it desperately needs, paving the way for the religious fascists ruling Iran to get the bomb.